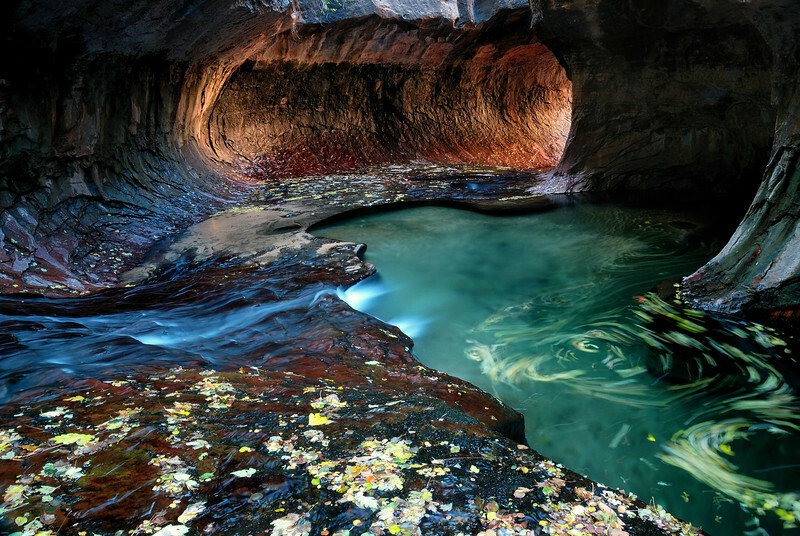 "TUNNEL OF COLOR" (The Subway, Zion NP) - This is The Subway in Zion National Park (Utah). It is in the Kolob Canyon section of the park, which is separate from the main park. The swirling leaves in the pool on the right are the result a long (20 sec.) exposure. This is one of the most photogenic spots in The Southwest. WOW!!! Fantastic exposure. I never knew there was anything like this in Zion--I guess I better go to the Kolob section next time I am in Utah. Thanks!